So whilst out enjoying the rare bit of sun we have had over the last couple of months, I came across a retro section in a charity shop not far from my house. (For my North American friends, a charity shop is a second hand shop). I wasn't sure how I would look in either of the pieces I bought but I was pleasantly surprised. 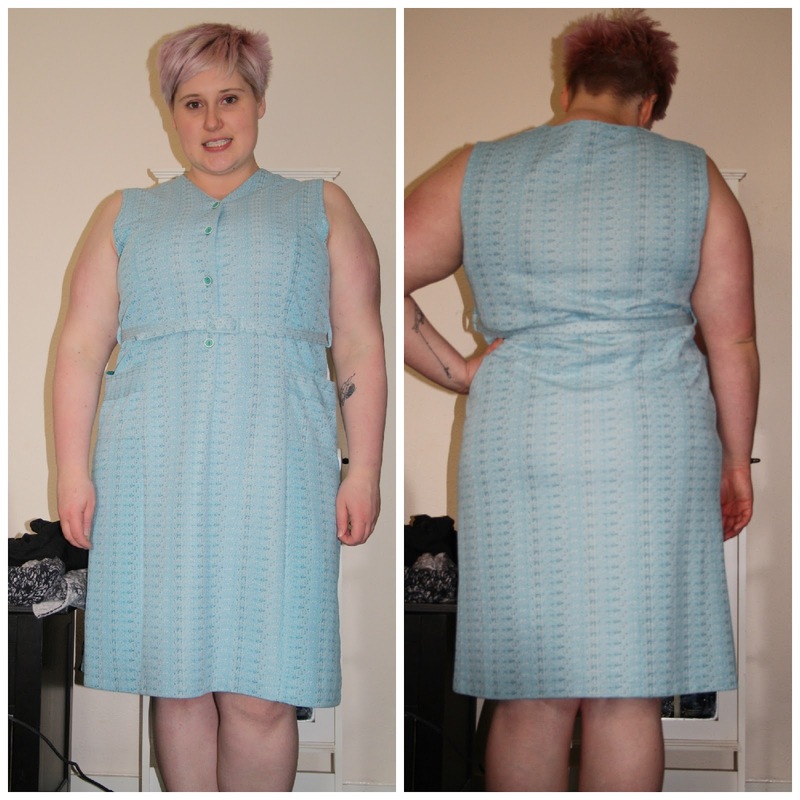 Excuse the somewhat crap photos, but I think it gets across the look all the same. 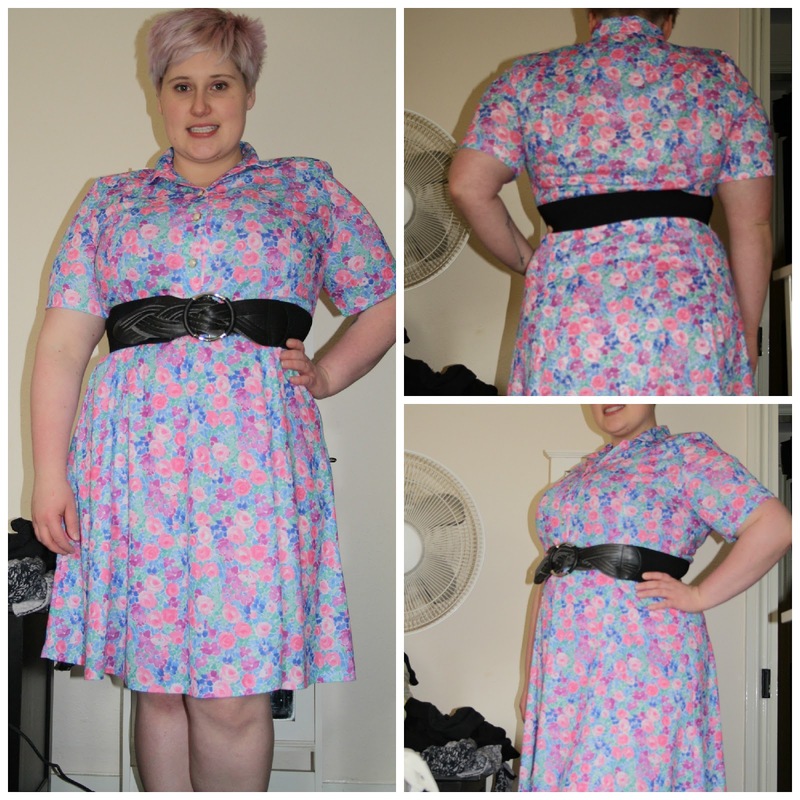 The first one is this floral dress, to which I have added a belt as the waist is a bit big. I like it because the buttons do up nicely over my bust, which is a rarity. I think I may think about getting the sleeve taken up a bit but other than that I love it. The second dress was a sort of 60s style slip dress. It's made of a pretty thick material and has this cute little belt with green vinyl material on the flip-side. 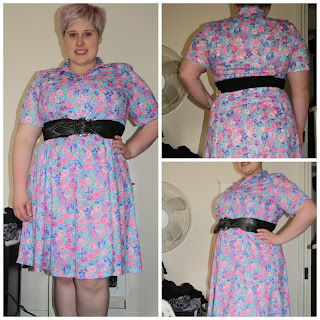 I'm less in love with this one, only because it is a bit too big and my waist doesn't quite sit at the right spot for the belt. Nevertheless, I do love the colour. Back in Canada, I loved a good trip to Value Village (or VVs Boutique for those more familiar :)) but in the UK charity shops are generally very small so the option of wasting hours browsing is not there. I'm so glad I found a little something special in my size! love the floral dress--so pretty!